Jag är i ett tåg färdas genom den svenska landsbygden. 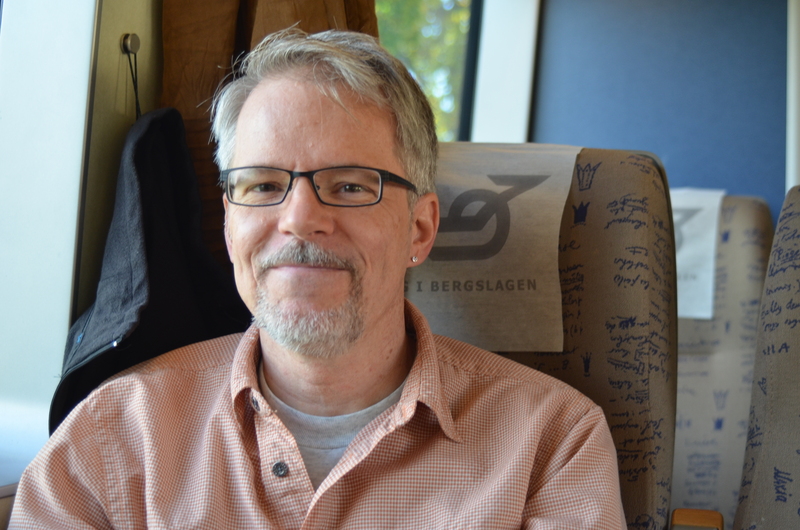 Clay Myers-Bowman is an award-winning executive leader and entrepreneur who has spearheaded dozens of projects (from New York to California, from Minnesota to Colorado, and from Kansas to Sweden, Norway, and other European countries) over the past 29 years. He’s worked for, consulted with and served on the boards of arts and cultural groups, human service agencies, educational institutions, disaster relief organizations, a federal disaster relief agency and an event management company. Clay has also produced and directed several documentaries including Documenting Ed, a profile of Steve Balderson and the cast and crew of an independent movie that was shot in Kansas in January 2013. He also was the Managing Producer of The Arctic Cycle, a six-play cycle by playwright Chantal Bilodeau that explores eight regions of the Arctic: Canada, Norway, United States, Greenland, Iceland, Sweden, Finland, and Russia. Previously he was the Associate Producer for Sandzén: Ecstasy of Color, released on Colorado Public Television in 2010. Clay’s mini-documentary Over 50 in Kansas was chosen as the first runner-up in the 2010 Lean Forward Media Project competition in New York City. Whether you just need a hand to get a project off the ground, or someone to take the lead and get things done, Clay has the experience and skills to make it happen. Myers-Bowman Productions is ready to talk with you about your needs. 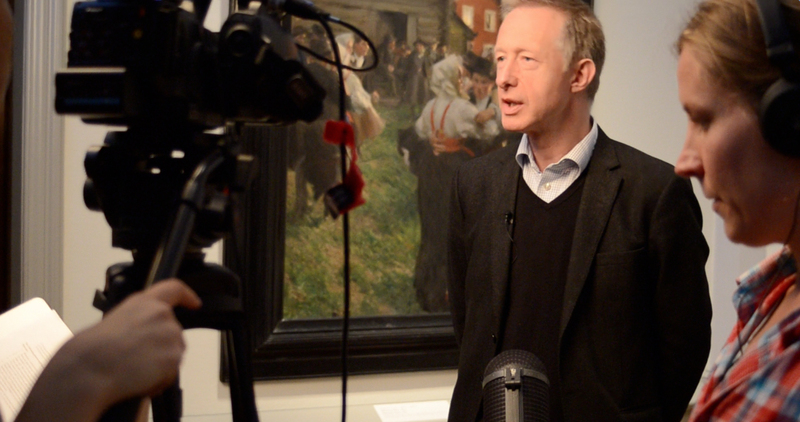 Interviewing Per Hedstrom at the National Museum in Stockholm, Sweden. Thank you very much fro stopping by on my blog and the follow as well. I will spare my time to see what’s on yours and I am following yours too. Best wishes from Indonesia.